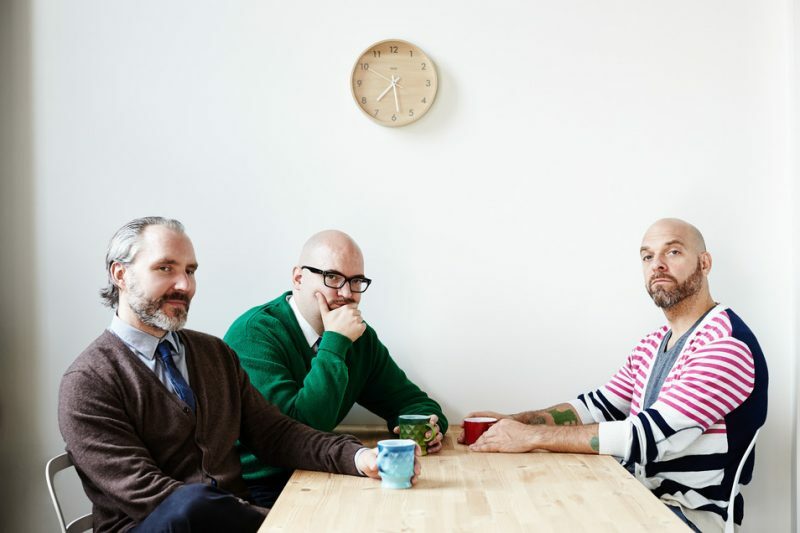 Fresh off their jazz-trio interpretation of Igor Stravinsky’s The Rite of Spring, The Bad Plus last fall began performing an extended tribute to another album-length musical landmark: Ornette Coleman’s 1972 release Science Fiction. Augmented by three horns-Sam Newsome, soprano sax; Ron Miles, cornet; Tim Berne, alto sax-the trio put its spin on the eight tunes on the original Coleman LP, plus two others recorded contemporaneously (and released a decade later on Coleman’s Broken Shadows), in October performances at Duke University and NYU. Last weekend, Boston’s World Music/CRASHarts presented the third performance of the program at the Berklee Performance Center. 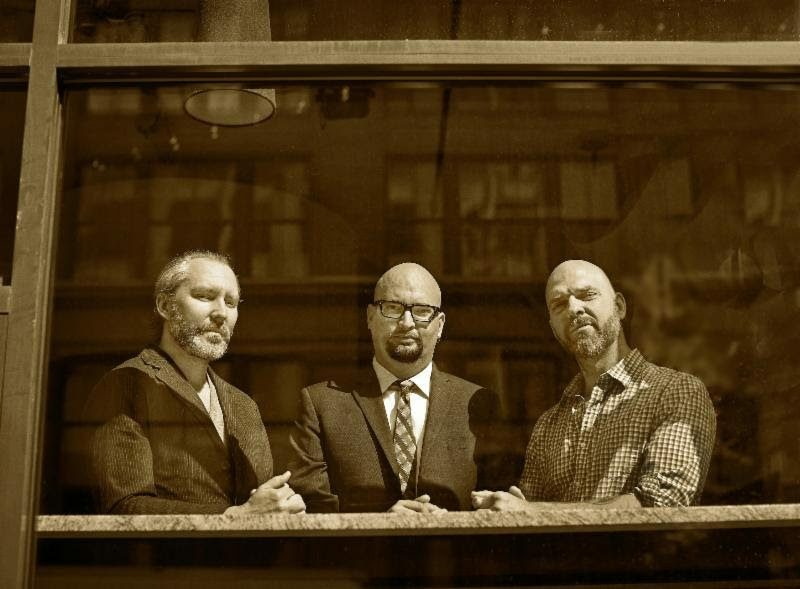 The Bad Plus, of course, was already renowned (and in some quarters reviled) for performing serious instrumental covers of pop tunes by the likes of Nirvana (“Smells Like Teen Spirit”), Heart (“Barracuda”), Blondie (“Heart of Glass”), Queen (“We Are the Champions”) and Rush (“Tom Sawyer”), among others. Their turn to Science Fiction started with a single tune, too, but the group was more thoroughly invested in the music, and the larger project emerged gradually over time. “Street Woman” appeared on the group’s 2004 album Give. The trio began playing “Law Years” in concert. Studio versions of “What Reason Could I Give” and “All My Life” were recorded (Asha Puthli’s vocals sung by Anderson and Wendy Lewis, respectively), but neither was released. Guest musicians were added for live performances of the expanding repertoire, one of which was seen and praised by Coleman himself. The complete Science Fiction tribute, like On Sacred Ground: The Bad Plus Plays Stravinsky’s Rite of Spring before it, was eventually commissioned by Duke Performances. The ensemble looked sartorially diverse and integrated as it took the Berklee Performance Center stage, pianist Iverson, Newsome and Miles attired in black suits, drummer King and Berne going casual in jeans and faded button-down shirts (plus a knit hat for King), and bassist Anderson splitting the dressy/dressed-down difference in a black sweater and gray-and-red-plaid pants. There was one pause a couple of tunes into the set for Anderson to introduce the musicians and, “in lieu of announcing titles,” suggest that audience members obtain and listen to the album inspiring the night’s performance. For those already familiar with the album, which featured members of Coleman’s two great early acoustic groups from the late 1950s through the ’60s, most of the night’s music was easily identifiable. It began with “Civilization Day” (or was that “The Jungle Is a Skyscraper”? ), the three horns playing unaccompanied until the trio kicked in, Anderson and King fiercely accenting a Berne solo, and the whole ensemble whipping through the head to wrap things up. “Law Years” followed and was unmistakable, Anderson working into it with a slow intro that moved into the iconic Charlie Haden bass part that opens the song on Coleman’s album. Miles took an unhurried, bluesy solo, with comping from Iverson, walking bass from Anderson and accents from King. Newsome’s soprano turn had a snake charmer feel to it at one point and sounded harmonica-like at another, with furious drumming and the other two horns provided accompaniment before everyone got back to the melody. “Street Woman,” when it came later in the set, was another highlight. Newsome shone early on soprano, with only piano and drums backing him, Iverson’s right hand a Cecil Taylor-ish frenzy while his left played steady, discrete chords. The right hand then rested as the tempo decelerated for a cornet solo, a more mystical-sounding piano its only backing; then Anderson and King took a duo turn for which King switched to brushes. Berne took a strong solo on this one, too, masterfully referencing Coleman’s melody without abandoning his own voice. King, who spent most of the evening powering the proceedings along via his dynamic drumming, had his main solo on the next piece, which may have been “The Jungle Is a Skyscraper.” Berne followed him, then Miles slowed things down with a spacious, deliberate, thoughtful turn that included some echo-like effects achieved by moving his horn above and below his microphone. Newsome’s solo was exceptional-enough so to cause Miles and Berne to exchange appreciative glances beside him-and, as had his playing on “Law Years,” featured actual microphonics. All in all, the musicians paid the best sort of tribute to Coleman’s album by not slavishly aping it. They worked tightly together where the music required it, stayed true their own voices per Coleman’s towering example, and the piano taking a lead role in celebrating what had been a pianoless album worked out fabulously. The ensemble whipped through Coleman’s “Happy House” as an encore, and the house that night-if less full than it might have been owing to sloppy winter weather-was indeed a happy one. It would be a happy thing, too, if an album were to follow.